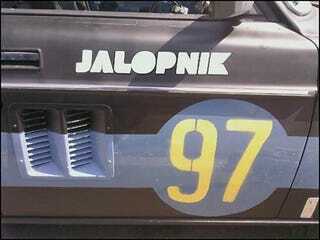 As we told you earlier, the V8olvo's got a bunch of fancy new decals as the team finishes getting it ready to run in just a short while at the 24 Hours of LeMons at Altamont. Here's our favorite. Now wish 'em luck in the comments below. Last Second Thrash, Race About To Begin!